Stained clothing is not always treated and laundered right away. To help remind yourself to deal with the stain when washing the item, try either tying a knot where the stain is or gently tying the piece of clothing in a loose knot. This is a guide about remembering to treat stained clothing. When you get a stain on your clothing (or other things), try this. Before you put it in the hamper to wash, tie a knot if possible or fix so it has to be looked at before putting in the washer. When I find a knot or clothing not the usual way it should be, I know to look for a stain on it. That way I can pre-treat it before it is put in the washer. I have been doing this and it works great. When doing the laundry, if I find any of my husband's work clothes that have been gently tied in a knot, this item requires special treatment, like degreaser, etc. This works well for knowing which items need treatment. I, too, have to check the clothes in our house very carefully! A plastic clothes pin affixed to the stain or spot on the clothes works well, too. Tells which garment needs attention and where. But it's always best to check the entire garment not just where the clothes pin is. Never put anything into the dryer until the stain is removed to your satisfaction as heat will set the stain. You might have to launder the garment a few times for the stain to be removed fully. 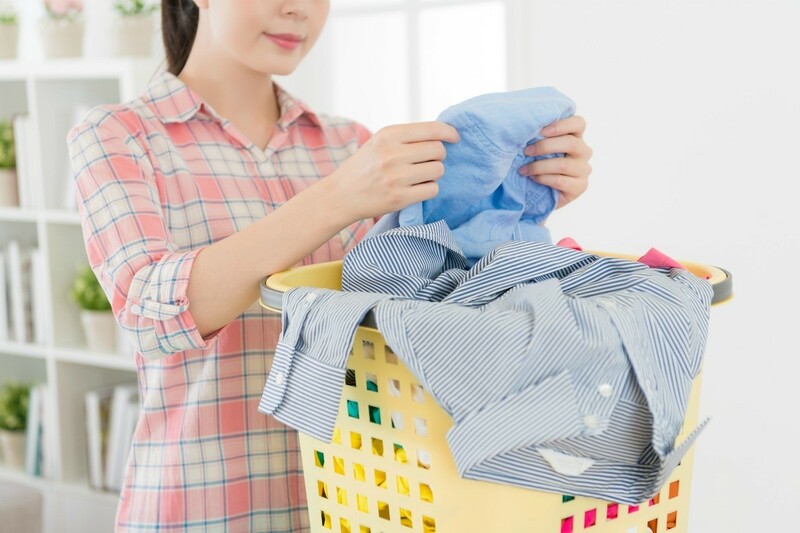 If you notice a stain in your clothing, and you are not going to wash it right away, tie a knot in it before you put it in the laundry basket. When you do the laundry, you will know that piece of laundry has to be pretreated before it goes into the wash.